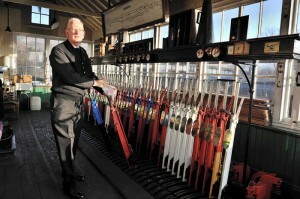 The signal-box at Loughborough Central is situated at the north end of the station on the Down side of the line. It is the only original box left on the Great Central Railway between Loughborough and Leicester. The box is also the only original GCR London Extension box and is a Grade II listed building. Originally Loughborough North (the signal-box at the south end was on the Down side near the carriage sidings) it was latterly the only box at Loughborough. It controls the station area, the engine shed and carriage sidings. Signals of interest include two originally from Loughborough Central but now re-positioned. The Down Inner Home bracket signal was recovered from the north end of Leicester Central station. The points at the north end of the station are mechanically worked. The points at the south end are motor worked. There are two relay rooms, one next to the box and the other at the south end of the station. The box was brought back into use in stages to 1985, initially with a single track line to the south. The Double Track project was commissioned in 2000, providing a five mile section of double line south of Loughborough to Rothley. The signalling scheme at Loughborough has won a Westinghouse Signalling award. Long term the aim is to control the railway north of Loughborough including the connection to the national network. 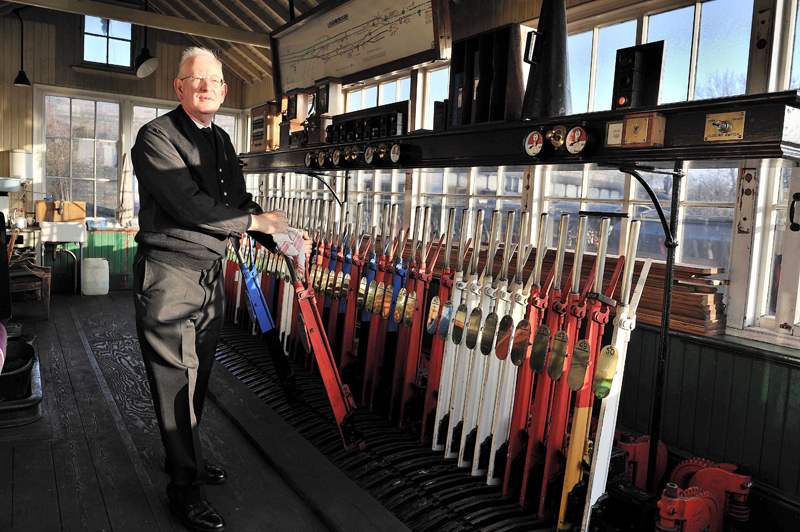 Technical information: The signal box works absolute block on the double line south of Loughborough. It has a 50 lever McKenzie and Holland frame with direct tappet locking, which was recovered from Ruddington signal box. The signal-box has an illuminated diagram, which is the original from the box. Point motors are HB type 110V machines. The south end of the station area is fully DC track circuited.